Need Finance? Want some help? Let us HELP YOU! We have a very easy finance application form online. 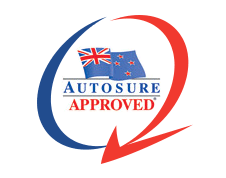 For fast easy finance approvals with some of NZ’s best motor vehicle finance interest rates%. Give us the chance to match or beat any finance interest rate approval you currently have. When you purchase a vehicle from Mr Motors Group we will make sure you have the very best deal available to you! Best Quality! Best Price! Best Rates! 4. Overseas driver's license and New Immigrants we can HELP. Every vehicle purchased from Mr Motors Group has already had an Oil And FIlter service not to mention an AA Mechanical Appraisal inspection. We offer Service & WOF plans for 1, 2 & 3 years with every vehicle Sold at MR MOTORS GROUP. Purchase a Mechanical Warranty at our Retail price and qualify to get your plan for FREE. BEST QUALITY! BEST PRICE! BEST SERVICE! Purchasing a Mechanical warranty from Mr Motors has just got that much better. Not only will you drive away knowing you are covered by New Zealand's leading warranty cover but you would be paying less than normal most competitive price, Saving you $$$ Money. BEST PRICE! BEAT QUALITY! BEST WARRANTIES! For a limited time you can qualify for a Service and WOF plan to Match?? YES!! Thanks for taking the time to get to know us. Mr Motors Group understands when purchasing a vehicle, you have a huge range of vehicles to choose and a large number of dealerships to choose from. At Mr Motors we pride ourselves in bringing our customers a very high quality low mileage motor vehicle at very competitive prices. With an after sales program second to none. Our professional, knowledgeable and non pressure sales approach making your experience relaxed and hassle free. You will leave truly" feeling like one of the family!"